Living Area 1155 Sq. ft. 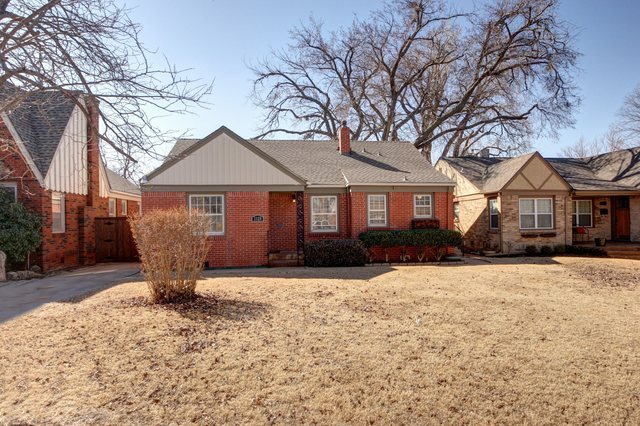 Check out this Linwood Historic home with some great updates! Great space through out the house. You will love the historic charm and character of the house. Kitchen has been updated with new gas range, butcher block counter tops, metal red island, wainscoting surround, freshly painted cabinets, new hardware and refinished hardwood floors. Third bedroom could be 2nd living or office. Spacious covered & screened patio on the back of the house.